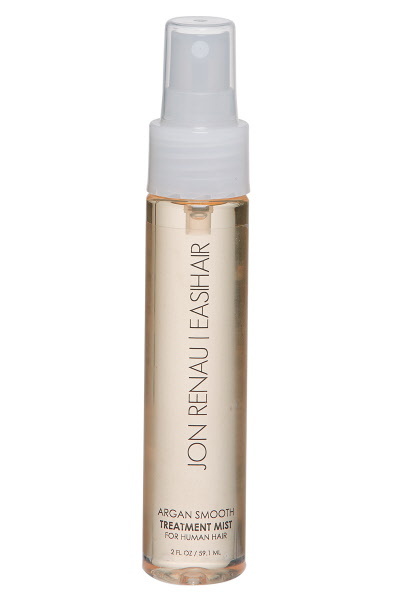 Jon Renau Human Hair Treatment Mist is specifcally designed for human hair wigs, hair pieces and hair extensions. This product is a deep penetrating, fast absorbing Argan Treatment Oil mist designed especially for human hair wigs, hair pieces and hair extensions. The oil instantly absorbs into the hair producing incredible shine, adding elasticity whilst it strengthens and conditions reducing drying time. Simply spray a small amount onto the hair after cleansing and style as usual. Also works great on dry hair to smooth ends and help prevent fly aways.